Super Neptunia RPG is an interesting. It's the first time that a game using Neptunia and her wild gang has been developed by a studio outside of Japan. There have been titles developed from outside of Compile Heart's internal teams (Tamsoft, for example, has done a lot), but going to a western studio is a entire other step for the series. 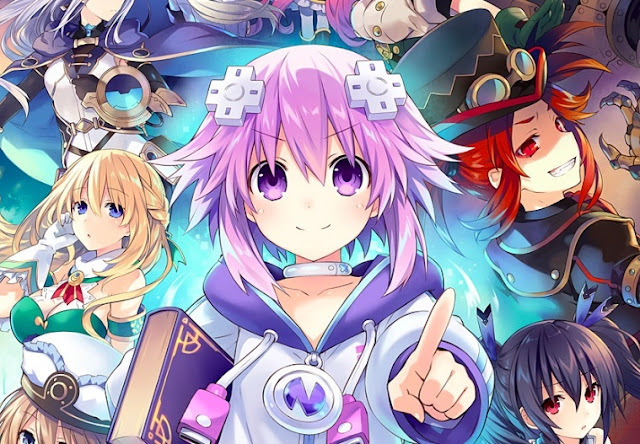 We've already seen screenshots and heard basic details about Super Neptunia RPG - it's a 2D JRPG, it's got turn-based combat, and so on - but now we've also finally seen some footage of it in action. In the video you'll see that the game features plenty of platforming and multiple "levels" to explore as you guide Nep Nep through the world. And, of course, plenty of enemies. I've got to say I'm a little concerned by those enemies, though. One of the highlights and strengths of the Neptunia series is how ridiculous the enemy design is.We're talking literal screenshots of video games, or the Super Mario Bros. pipes. Super Neptunia RPG has the Dogoo - the series' jokey spin on Dragon Quest's slime - but otherwise the enemies seem very standard JRPG to me. I was a little concerned about how a western studio would go about capturing the manic fanservicey silliness of the Hyperdimension Neptunia series. It's not a tone or aesthetic that western studios generally do well. I hope that this footage - and particularly the enemy designs - are not fully indicative of the final game, else my concerns may well be playing out.